As smartphone successors are introduced for as long as we can remember, it presents a golden opportunity for the previous-generation flagships to be sold at a much lower price. After the Galaxy Note7 battery scandal, Samsung managed to improve its Galaxy S8 and Galaxy S8 Plus significantly to present one of the best flagships for 2017 to you. The great news today is that both devices are being sold for ludicrously low prices; much lower than the Galaxy S9 and Galaxy S9 Plus that’s for sure. 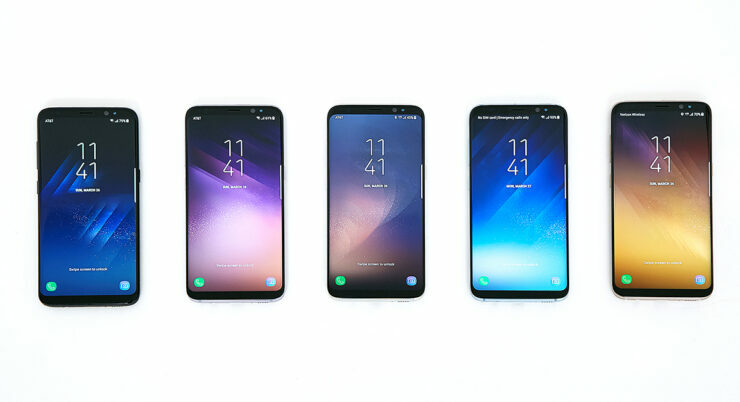 Lots of customers just want excellent value for what they are buying and if they feel that at the time when the Galaxy S8 and Galaxy S8 Plus were a bit too expensive for their taste, they will find the current pricing to be more in line with what they are looking for. The Galaxy S8 is being sold for $500 while the larger brother is being sold for $565. Both smartphones are being sold at this price because both of them belong to the ‘Certified Refurbished’ category. We recommend that before you purchase any one of these devices, it is important that you read up on what a certified refurbished smartphone is. While there is no harm in purchasing a device that belongs to this category, it is important that you know the differences between a brand new handset, a used one, and a certified refurbished one. Just to refresh your memory, the refurbished smartphone is growing and Apple is the center of it all by having the biggest share in it. There is no dual-camera on the Galaxy S8 Plus and the fingerprint reader placement is quite difficult to reach, but for the price, we honestly cannot complain.